On display in the Museum from April 5th to June 30th. 20 select paintings from Tanya Harsch's series Titled "Sebbie and Friends" will be on exhibition. 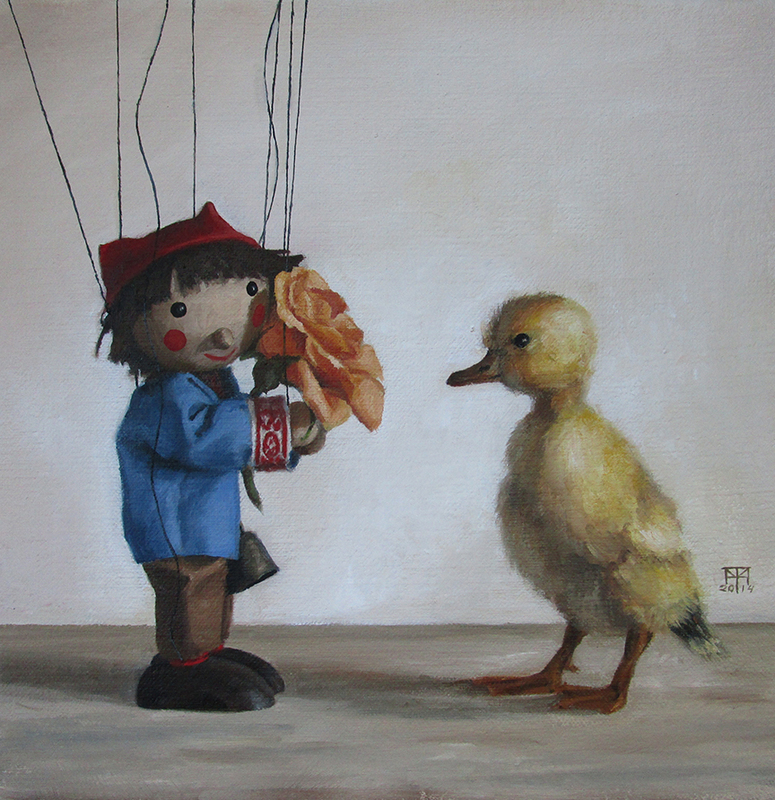 Paintings and postcards of this lovable childhood toy marionette will be for sale at the Museum. Tanya Harsch is a classically trained oil painter working in a narrative style. 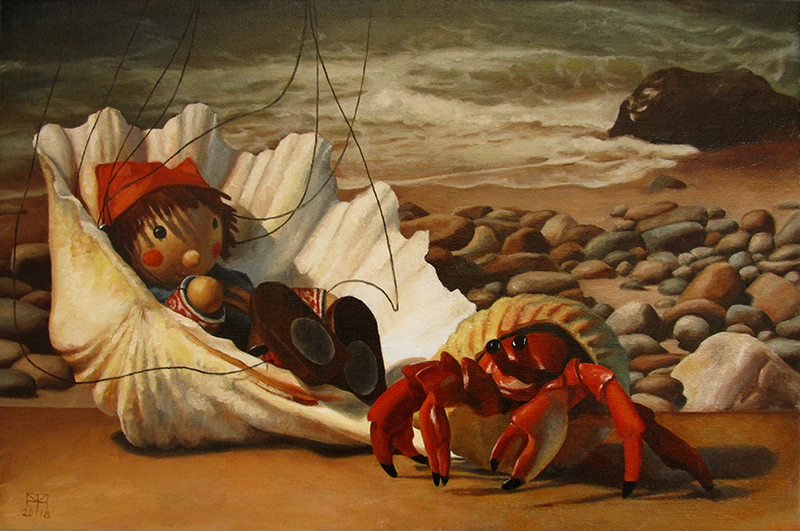 She is most well known for her narrative still lives of toys centered around her marionette, Sebbie. A signature member of American Women Artists, she also holds membership with Oil Painters of America and the American Artist Professional League. Ms. Harsch’s work has shown across the country and internationally, where she has been the recipient of numerous awards. She holds a bachelor’s degree in English Literature from Lawrence University, as well as certificates of classical drawing and painting from the Florence Academy and Ravenswood Atelier. She works out of her studio in Appleton, Maine, and when not painting can be found enjoying nature or lazing about with her cat.